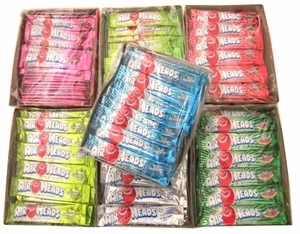 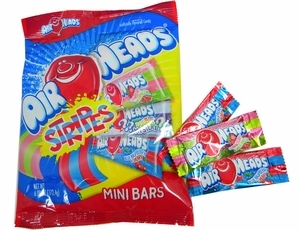 Air Heads Gummies Assorted. 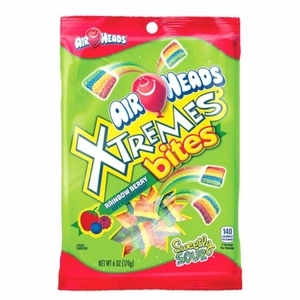 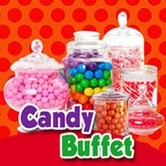 This is a 6oz bag filled with 6 assorted flavors of gummy candies in 5 different shapes. 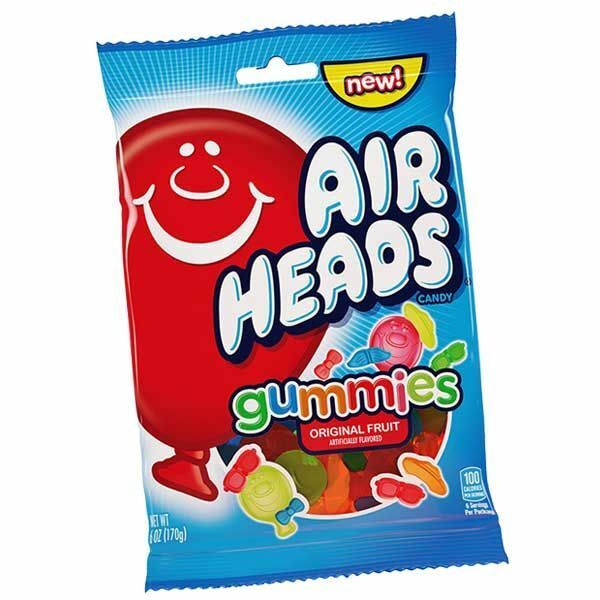 Gummie sunglasses, gummi hats, gummi bow ties, gummi mustaches and gummi faces.